5 Police Officers implicated in Hostess Fruit Pies Bribe. Wow, I just read this news article below about 5 police officers who were bribed with Hostess Fruit Pies. Involved are two riot squad officers, two Deputy Squad officers and the Captain of the police force. 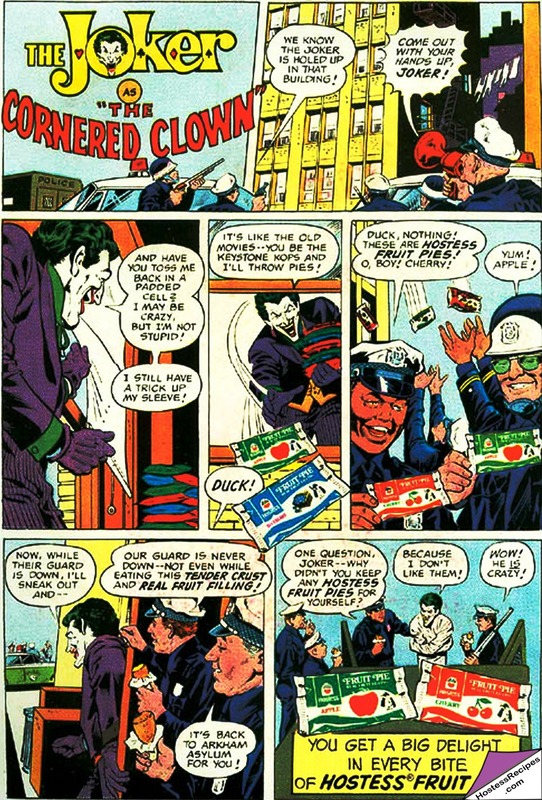 Apparently an escaped patient from the Arkham Asylum for the criminally insane was reportedly holed up in a tenement building, when they demanded he give himself up, he broke the window out and threw the fruit pies at the officers, who accepted them and even gobbled them up while they were arresting him! Apparently this is the 697th time time he has escaped, reports show and at least 20 of those times he had pockets full of hostess snacks, which he threw at police, detectives, bank security and money truck guards, each time these delicious snacks were gobbled up buy the officers. It’s a good thing this insane convict wasn’t REALLY evil or he would have just poisoned them.